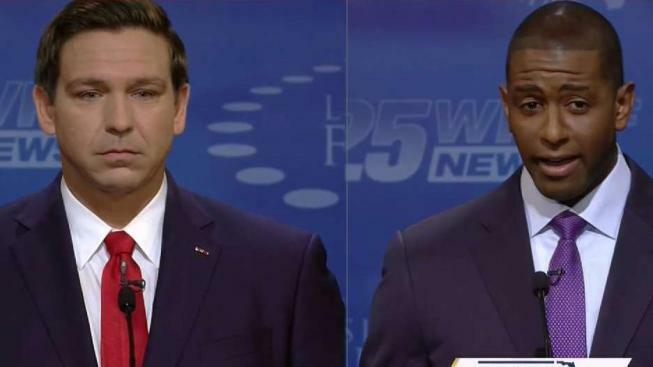 Gubernatorial candidates Ron DeSantis and Andrew Gillum exchanged heated words in a final debate. 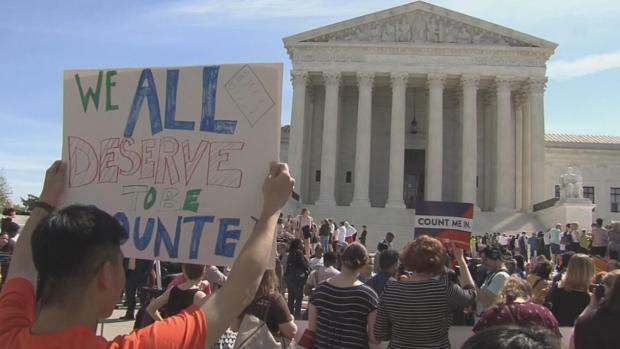 NBC 6's Laura Rodriguez reports. 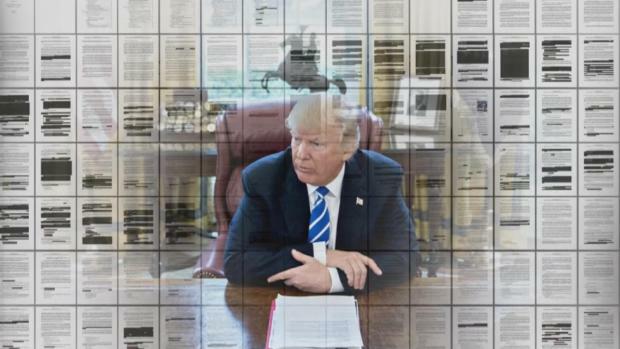 "How the hell am I supposed to know every single statement somebody makes?" DeSantis said during a debate Wednesday. "I am not going to bow down to the altar of political correctness." His Democratic opponent, Tallahassee Mayor Andrew Gillum, could become the state's first black governor. Gillum went on offense at the debate, blaming DeSantis for fostering an environment that promotes racism. "I'm not calling Mr. DeSantis a racist — I'm simply saying the racists believe he's a racist," Gillum said during a debate. The exchange is a snapshot of how candidates from both parties are grappling with race less than two weeks before the midterms. From New York to Florida, dog-whistle politics are showing up in ads and attacks from outside groups and, in some cases, GOP candidates. It's playing out against the backdrop of President Donald Trump, who has tapped into racial anxiety with warnings of rampant violence in urban areas, voter fraud, a caravan of migrants and unknown "Middle Easterners" threatening the U.S. southern border. "If you believe the midterms are about base turnout, then from a strategic standpoint you get why they're trying to throw the best red meat to their base: tribalism," said Democratic pollster Cornell Belcher. "It's all about fear. Fear of the other, fear of losing their country. That wasn't by accident, and this is part and parcel of that." Republican strategist Brian Robinson dismissed such arguments as part of "the silly season." "In the final days, you throw out stuff that you had, that you weren't sure how it would work, that may be inflammatory," he said. Robinson argued that Democrats are more likely to use race as a motivating factor. "Republicans are very sensitive about being called racist," Robinson said. "The standards applied to Republicans are much stricter. We're not allowed to discuss race, so we tiptoe around it, and our own desire not to be called a racist keeps us in line." DeSantis denounced the call. In a telephone interview, Gillum said he listened to the beginning of the audio but didn't play all of it. "These things are also not only designed to go after their base of voters who they think is going to be motivated by these kinds of things, but there's also a little bit of an effort to throw me off my game," Gillum said. "If they can get me angry, catch me with an angry outburst, maybe they can make the case, 'The guy's unstable, you never know what he just might do.'" In Georgia, reports have surfaced over Democrat Stacey Abrams' involvement in a protest more than 25 years ago in which the old state flag — which contained a Confederate symbol at the time — was burned. Abrams is seeking to become the first black woman governor in America, and her opponent, Georgia Secretary of State Brian Kemp, has labeled her "too extreme for Georgia." Abrams responded to The New York Times report during a gubernatorial debate Tuesday, saying: "Twenty-six years ago, as a college freshman, I, along with many other Georgians, including the governor of Georgia, were deeply disturbed by the racial divisiveness that was embedded in the state flag with that Confederate symbol. I took an action of peaceful protest." On the stump and on Twitter, Trump continued to hammer the theme of immigration. This week, he told reporters that there "very well could be" people in the migrant caravan from the Middle East — a veiled nod to a possible terrorist threat — mixed in with migrants fleeing violence and seeking asylum. Immigration was also a theme in Texas, where Trump started the week at a rally to boost former rival Sen. Ted Cruz's numbers in the state. 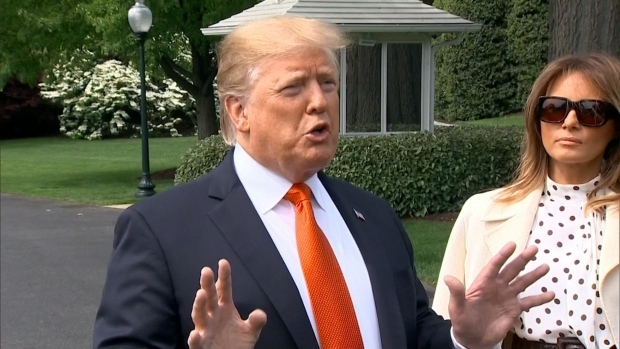 The president also labeled himself a "nationalist," sticking to his "America First" mantra, though some pointed to history and questioned whether the title had racial overtones. "They wait until the last two or three weeks, especially when the enthusiasm gap was so large," said Democratic strategist Donna Brazile. "Every button is being pushed. it's like every ember of the racial fire is being stoked. It's going to get dirtier."